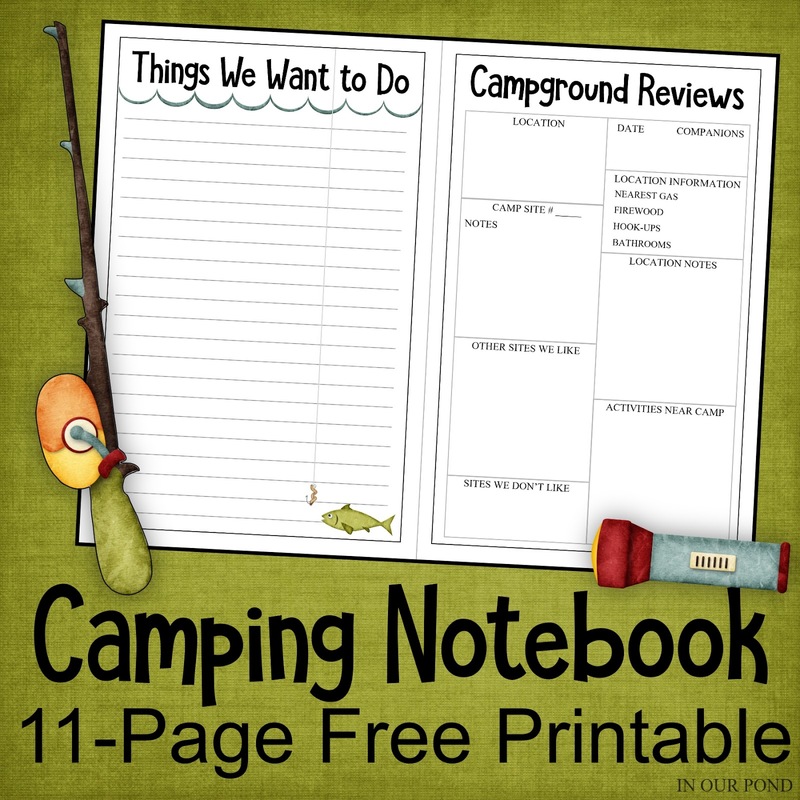 About five years ago, I found a link on Pinterest that brought me to a printable camping organization notebook from All Those Details. 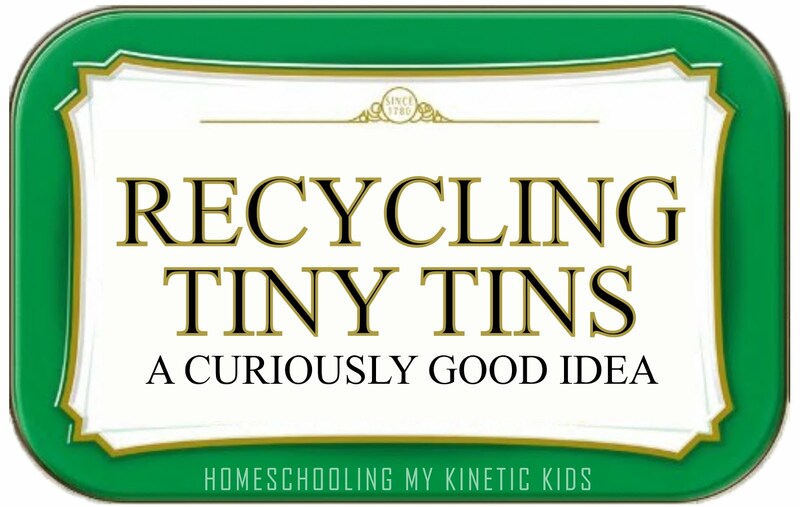 I was so inspired by her ideas that I created one of my own and gifted it to my parents. At the time, I didn't want to post my own notebook printable, because I felt like it was too close to when she posted hers. Well, as I said, it's been a few years. My parents love their notebook and have been encouraging me to add the free printable to the blog. I started completely from scratch and added more pages than I had originally. 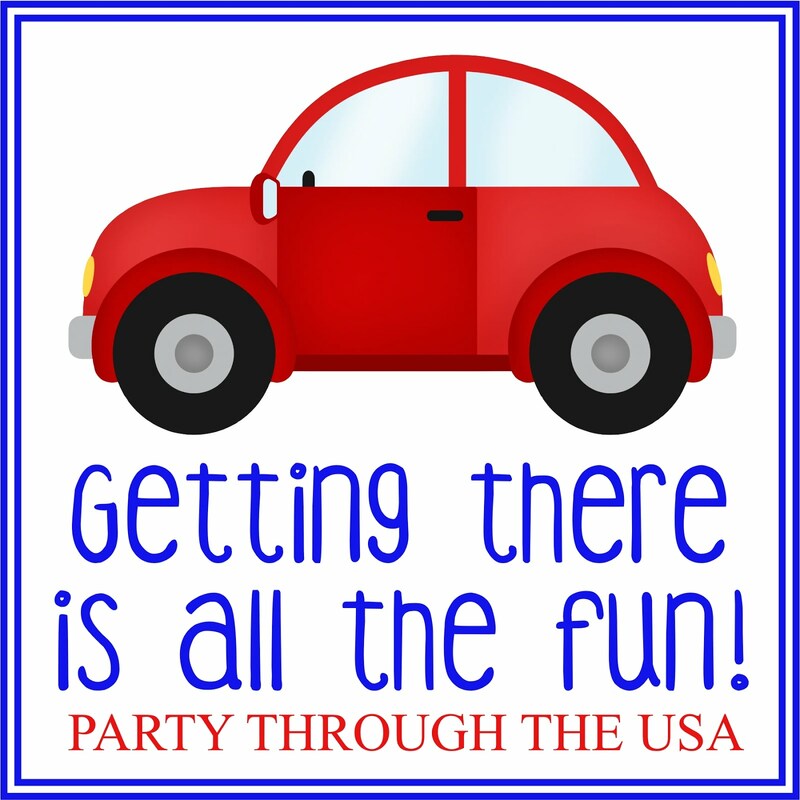 THINGS TO DO- bucket lists, places you want to visit, campgrounds, etc. I recommend printing a few copies of this notebook and putting them in a half binder. 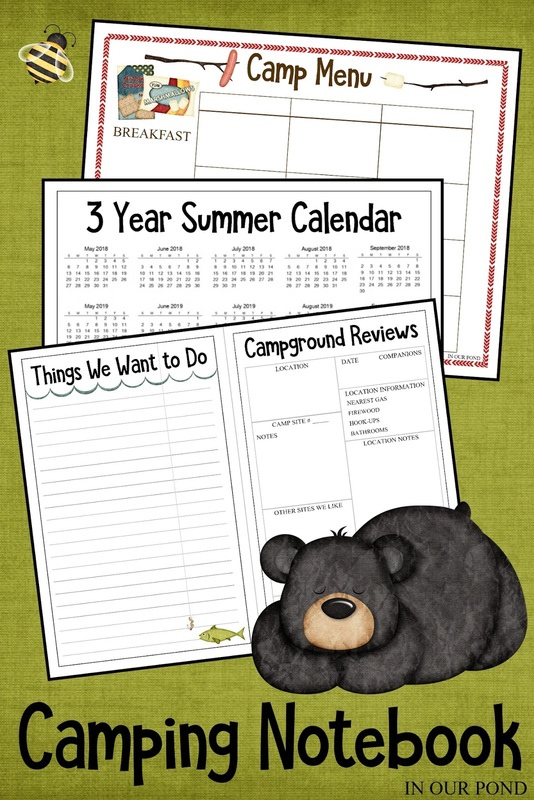 The pages can be put in sheet protectors to make them dirt and waterproof. I would also add some pocket dividers to the binder for separating sections and holding bits of papers like licenses and reservations. 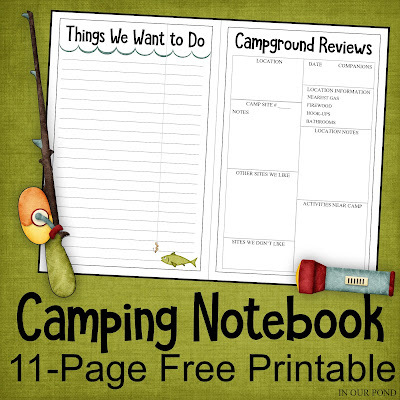 I hope this printable gets you excited about camping, and helps you organize your trips. As always, this printable is free for personal use. 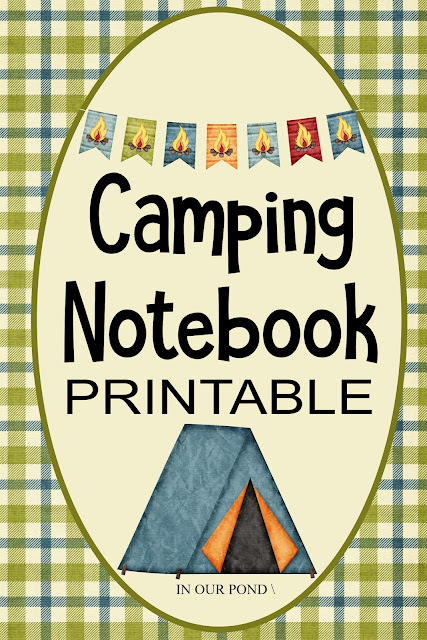 It also makes a great gift for the campers in your life! Clipart Graphics are from JSS Scrap Boutique on Etsy.